It's no secret than when it comes to dressing, I like to borrow from the boys.Oversized silhouettes offset by slim-fitting tops or bottoms are so effortlessly chic — not to mention far more comfy than their binding counterparts — that I just can't get enough. 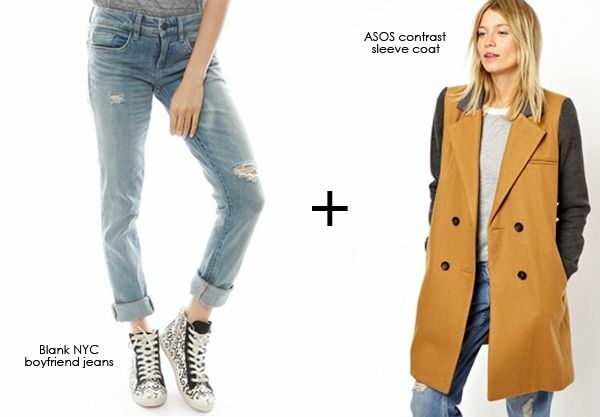 Case in point: The oversized coat. Now I don't know if you've noticed, but my outerwear is increasingly getting bigger and bigger... In fact, you'd be hard-pressed to find a style blog out there that hasn't adopted the trend. So when it comes to incorporating jumbo coats into your wardrobe, I thought I would show you two of my favourite combos: Casual vs. professional. The first look is a weekender's dream, with loose layers and zero-to-no effort for maximum chicness. Wear it for coffee with the girls, shopping or a trip to the library, and you'll look as good as you feel. Look two is a little more polished, perfect for the 9-5er who wants to look put-together on the go. 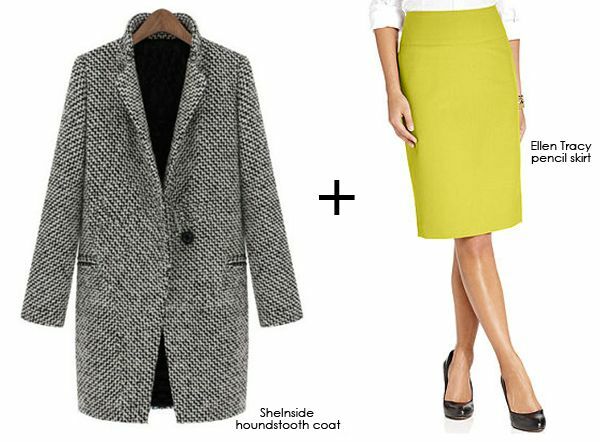 Swap the skirt for a form-fitting dress or tailored pant, and you'll be the cutest girl at the office. If you want to read more on the oversized trend in general, check out this article I wrote a few weeks back, and as always, happy Wardrobe Wednesday! I love how oversized coats balance things, my collection has increased so much this year too!